I have always believed that I have had a pretty charmed life (well up to this moment anyway). Things just seem to go my way but for one thing. Love. Where was that “Pina Colada” moment that I longed for? On a whim I purchased a round world ticket and arrived one steamy summer evening in Bodrum, Turkey where, after a less than stellar meeting, I fell in love, or lust, or maybe I was drunk and fell over, with my husband (hereafter called The Turk). Now I find myself in my mid-40’s and ready for a new adventure, this time with The Turk, Daughter and our two fur-babies. We threw in our jobs, boxed up our lives and, following our dream, we relocated to a small village outside of Mersin, Turkey. Where? Marmaris did you say? No people not the party town of Marmaris or bootylicious Bodrum, or even cosmopolitan Istanbul – pffttt – we have moved to a small village outside of mundane Mersin and believe me it ain’t no picnic! This is not a blog about my glamorous life living it up in a foreign country, I want to tell you about how life really is. It can be bloody hard. It can throw you into dark places. It can make you second guess yourself and it can reduce you to tears. Different cultures, different personalities, different lifestyles and don’t get me started on the bureaucracy! Mersin is not on the tourist map (although it should be) and there are not many expats to be found. When you are in Mersin (or a village outside of Mersin) you need to go native very quickly or you will not survive. This blog is also not just about me, it’s about The Turk and his life returning to his homeland and Daughter who was forcibly removed from the crazy of 21st Century tween life consisting of the newest apps and gossip and now has the life that every kid should have, riding her bike, playing in the sunshine and surrounded by family and friends. Culture shock aside I am now a Turkish Housewife (and not a very good one). I cook (badly), clean (rarely), learn (slowly), love (with my whole heart) and laugh (always). So you decided to join the small clan of Uncle Spike followers Janey…. That makes me a happy blogger now – I really appreciate you making that special mouse click. Is it a clan or a cult? Hmm, having recently watched ‘The Following’, I dunno. I’m a happy camper now you are joining me as I trip around by RV, plane, car and time machine to the past. I am enjoying reading your blog Janey. Thank you for sharing your experiences. My daughter has been living in Oz for the last 3 years, so I get a bit of an idea of how your adjustment to Turkey must feel. 🙂 I am planning to relocate to Mersin in May with my 10 year old son. I sent you a pm through Turkey Central. It would be great to get to know someone there before I arrive! Will hop on the site today and get in contact with you. Daughter is 11 and will be happy with a friend that speaks a English. What a great blog, funny and inspiring. Keep up with your sensational words. Thanks for following Sawyer’s adventures! Looking forward to reading more of your blog.. This is one of the funniest blogs I have come across. You make me laugh with every post. I’ve never been to Turkey before but thanks to you it is definitely on my Bucket List. Your “about” page has me hooked! looking forward to reading more. Am loving the blog. Am loving your stories. Inspiring, informative and bloody funny. Loving this.. “on a whim I purchased a round the world ticket”!! It was definitely a whim but perhaps it was kismet. Have been reading your blog – love it. I have spent a long time over the last year in Mersin, I love it. Wish I had known about you when I was there for 5 weeks in December last year!!!! Let me know when you are back. The more the merrier at our get togethers! Found your blog through Blogging 201. 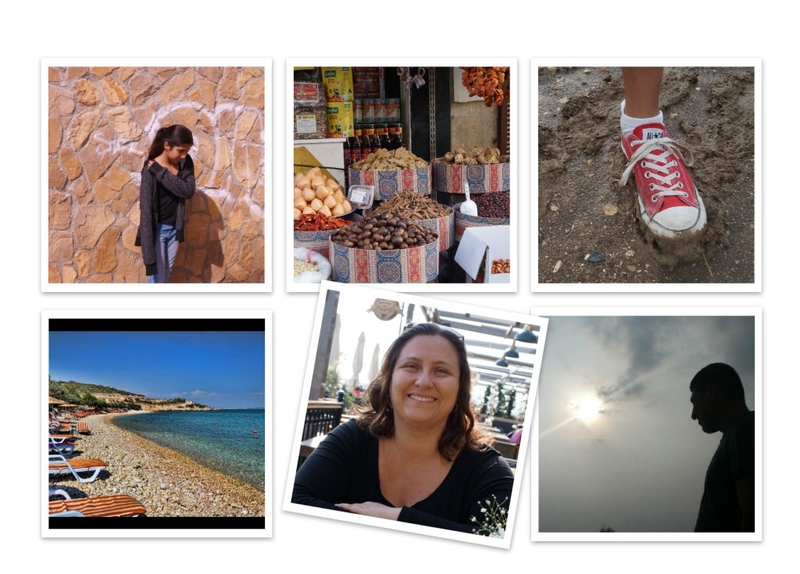 Seems like it will be interesting to follow your blog and learn more about Turkey and your life. Love reading your blog! My husband is also from Mersin! Beautiful place! Cant wait to come again December 26th with our 2 year old son! Let me know when you are coming over – any visitor is sorely welcome – in fact we may not let you leave! Thanks so much, Jane, for dropping by and liking the photo of my cat Sophie. It got me over here to pay a return call — and look what I found: your own supercallifragilicousexpialadocious blog! What a reading treat is in store for me! Mersin is a great for food, so I heard from a Turkish foodie friend, and when I get there, I’ll say hi. Just discovered your blog and I’m enjoying it very much. Thank you. Possibly, the best ‘About’ page I’ve read in a very looong time! It is interesting to see that I was not alone “The Turk” faced the similar difficulties, and challenges. Oh Ahmet! Oportos!! Now I am drooling! The Turk brought back oporto’s sauce last year. It was amazeballs! I totally u servant how you feel. I haven’t looked back yet, sideways maybe, but never back. Thank you so much for stopping by my blog because it has now brought me to yours! I loved reading your story which I find fascinating. Good for you for going for the gamble I have been fortunate enough to travel to Turkey and I think it is very different than what many people would expect. I can’t wait to read more! I recently came across your blog (& FB page) whilst researching our 2016 trip to Kizkalesi, via Istanbul and Cappadocia. Enjoying the laidback style and content, please keep it coming. Hi Janey! Thank you for liking my Istanbul photo album. I enjoyed reading your blog and the adventure you’re having. Keep them coming. Hi Janey, you have a really nice blog! I have a question.. how do you put the follow buttons at the end of your blogposts? I just started blogging.. I really want that to! I followed you by the way! To be honest Daughter set the blog up for me a couple of years back. I haven’t changed a thing on it in fear of removing a code or adding a code or stuffing up a code lol! I’m looking forward to following your posts (and thanks for following mine). Our daughter lives in Istanbul with her son and kept this blog until about a year ago: http://istanbuls-stranger.blogspot.com. Oh I actually remember your dAughter’s blog. Would check it out every now and then. I cannot say Ali although there are a lot of clothing stores that will design clothes on the spot (reasonably prices I imagine). No need for botox = no idea. Sorry. No I havent. Just did a littly looksy on Amazon but I cant download unfortunately. Like you, I’m a world traveler and Istanbul was to be my final planned destination of my most recent RTW, but then I came to Cappadocia, fell in love and stayed. =) I love your storytelling and will be following along with your blog. I’m hoping to update mine a bit more regularly with stories about living in Goreme. I can relate to so much of what you are posting – it’s a tourist town here, but I don’t mix too much with tourists or expats and adjusting to life with my Turkish boyfriend and his family has been tricky at times. It’s nice to find blogs like yours because then I feel less isolated. =) So thank you! Falling down the rabbit hole is a good thing I think. Sit a spell, enjoy, follow the white rabbit … just don’t upset the Queen of Hearts aka me LMAO! Love Goreme. Will be keeping an eye out for your posts. I found your blog through a bizarre search engine question that led someone to mine (“if you never chased a chicken then you don’t know village life”). I couldn’t help wondering where else it would lead–and here I am, two blog posts later, still wondering it you wrote about chickens. I know I didn’t, although I do write about life in a Cornish village. I do write about chickens … well more correctly a rooster that was ruining my life. He was my nemesis but alas he is no more. But he was a very tasty mangal or BBQ! I love a good search engine, it introduces you to some fab blog pages. Welcome or hosgeldiniz. Traveller at heart referred me to your blog. I love your humorous writing style, so I signed up. My expat days are over, but I spent twenty years in the Philippines and three in Vanuatu. Now I’m back home in the United States and working on my second novel, which is set in … Manila and Vanuatu. (My first novel, Tiger Tail Soup, was set in China, the homeland of my late husband.) I’m looking forward to following your adventures. Well done, for getting out experiencing the real Turkey! I’m Najiyah Maxfield, Editorial Director of Daybreak Press, a non-profit, woman-run press in the States. We just published a picture book called Drummer Girl which is set in Turkey, and we wondered if you’d like to review it or perhaps interview the author. Please feel free to email me at daybreakpress@rabata.org or whatsapp me at 18162177922. Thanks!